In any deal, if the price is not agreed, then nothing is. What is true in a farmers’ market is true for China-Russia relations. For the past five years, every time Russian leaders have met their Chinese counterparts, the agenda has been topped by a huge 30-year gas deal in which everything has been settled but the price. And each time, the two sides have made little progress. Russian prime minister Vladimir Putin’s trip to Beijing this week will be no exception. 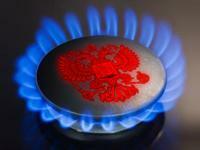 Russia announced plans in 2006 to build two pipelines to carry 68bn cubic metres (bcm) a year of Siberian gas to China. The deal is critical to Gazprom’s strategy to globalise its gas trade and diversify exports away from Europe towards Asia. China is eager to import Russian gas to help meet its surging energy needs and reduce dependence on ‘dirty’ coal. Despite many summits since Soviet times, when the two states almost went to war, relations are workmanlike rather than warm. Many Russians are suspicious that China, with its vast population, has ambitions to colonise underpopulated Siberia and take control of its natural resources. Chinese people, proud of their economic gains, often scorn Russia’s slow progress. So, not surprisingly, Chinese leaders think that time is on their side, whether it is in terms their global advance or the gas deal. Russian officials worry how hard it it is to monetise Siberia’s resources wealth, let alone develop the region’s infrastructure, industry and cities. None of this stops Putin, who began his two-day visit on Tuesday, and Chinese premier Wen Jiabao from being polite to eachother – or giving their blessing to burgeoning business ties. Bilateral trade is forecast to grow from $59bn last year to around $200bn in 2020. As the FT reported, some big deals were announced. The sovereign wealth fund CIC (the China Investment Corporation) plans to invest $1bn in a joint Russia-China Investment Fund to be set up in partnership with the state-backed Russian Direct Investment Fund (RDIF) which would also commit $1bn. Russian state bank VEB will sign a deal with China Development Bank under which the Chinese bank will provide $1.43bn for building the first stage of Rusal’s 750,000-tonne Taishet aluminium smelter, VEB said. But all of it is taking much longer than it might have done. China can afford to wait. But not Russia.